A Colombian cannabis venture has started raising capital in the hungry Canadian public cannabis market. Alvaro Torres, president and CEO of Khiron told the Investing News Network (INN) the company picked the TSXV to launch the stock of the company because of the security. “[The] TSXV w[ill] provide for us a level of comfort for investors and for [the] government of Colombia to know we are doing things the right way,” Torres said. Things have changed for investors since the time Torres started pitching the opportunity in Colombia. At first the questions were simply on security issues but now, Torres said, the questions are focused on the market and investors are more involved than what he heard a year ago. Khiron’s public launch indicates the willingness from the TSXV to list enterprises based in markets outside of Canada for an emerging industry such as cannabis. The company plans to expand its reach in South America with what Torres called a “multidomestic strategy,” meaning working closely with medical cannabis patients and doctors to create brand loyalty, then move into several other markets. He specifically indicated Mexico, Brazil and Argentina as upcoming targets. The Colombian cannabis opportunity has started to flourish for other Canadian companies, such as Scythian Biosciences (TSXV:SCYB; OTCQB:SCCYF), who announced in April its plans to acquire MMJ Colombia Partners as a way to break into the South American country. The terms of the deal included intricate expectations in order to be completed by the Colombian enterprise. As of 1:57 p.m EST on Thursday, Khiron’s stock has increased 16 percent to reach C$1.16. 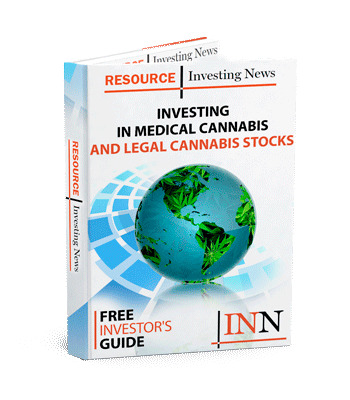 Editorial Disclosure: Khiron Life Sciences is a client of the Investing News Network. This article is not paid for content. The post Khiron Life Sciences Launches on the TSX Venture Exchange appeared first on Investing News Network.